This edition ranges from basic words and phrases to more complex and idiomatic material, all arranged thematically and covering topics such as meeting and greeting, travelling, the weather and eating and drinking. 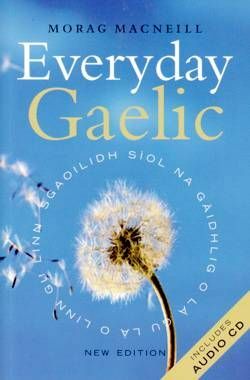 There are also clearly explained sections on grammar and imitated pronunciation for all Gaelic words and phrases. The result is an accessible and useful book which will be of benefit to all levels and ages of Gaelic learners.